How did you spend your Mother’s Day? Our hubbies and kids spoiled us by taking us strawberry picking. And did we ever pick! 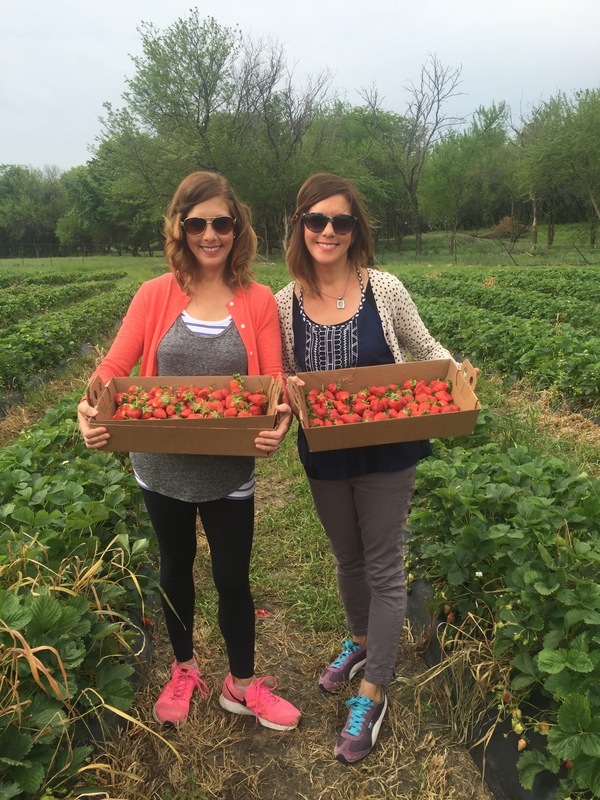 We gathered the reddest, juiciest, most delicious strawberries we’ve ever tasted, all with the intent to make the yummiest berry treat! You know what a mama wants, a mama gets! 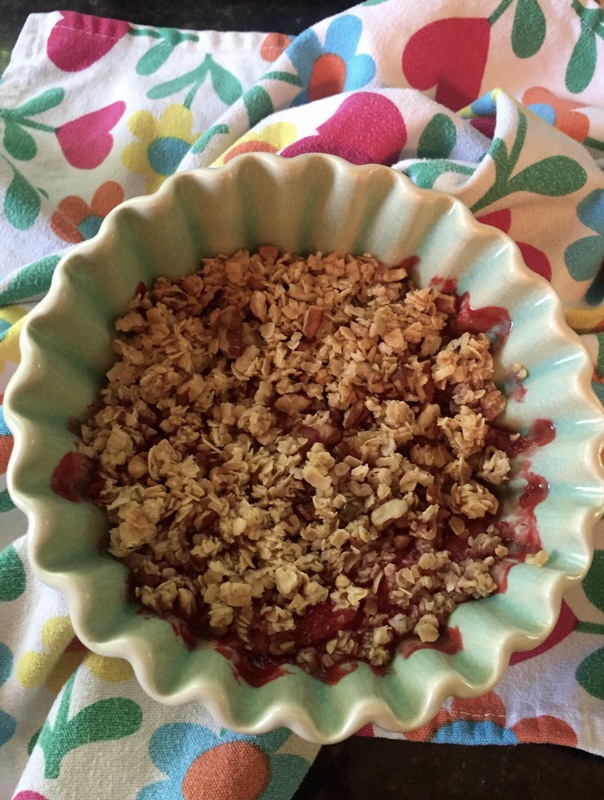 So baking Freshly Picked Strawberry Crisp is what this Saturday is all about! Preheat oven to 350°F and place a rack in the middle. In a large bowl toss halved strawberries, cornstarch, vanilla extract, and agave syrup. Set aside. In another bowl mix together oat flour and salt. Add maple syrup and coconut oil and cut in the coconut oil until the mixture begins to form crumbs. Set aside. Scrape the strawberry mixture into the baking pan. Spread the topping over the fruit in an even layer. Bake in the oven for about 25 minutes or until the topping has browned and the fruit bubbling. Remove from the oven and allow to cool 10 minutes before serving. We happily cheated and treated our way through winter break. But now all of that holiday goodness has left us with that about to “pop” feeling. Are you there too? This Saturday we are getting back on track with a sinfully sweet and salty snack – Chocopop. 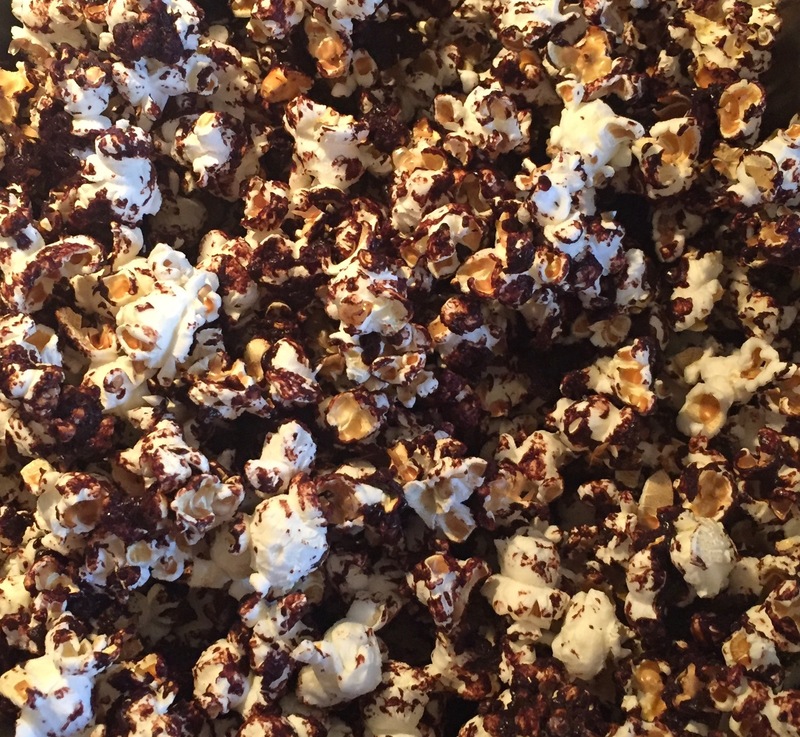 Using the superfoods of whole grain popcorn, unsweetened cocoa powder, and coconut oil we can munch away on this scrumptious chocolate popcorn without feeling guilty. “Pop” a batch and discover for yourself why this has become one of our most”pop”ular recipes. Preheat oven to 250F and grease cookie sheet or 9×13 pan. In a small dish mix milk and starch and stir to combine. In a small pan on low to medium heat combine all ingredients. While stirring constantly, heat until thick. While still hot, pour sauce over popcorn and stir until all popcorn is covered. Place popcorn on prepared pan. Bake for 20 minutes stirring every 10 minutes to break popcorn apart.